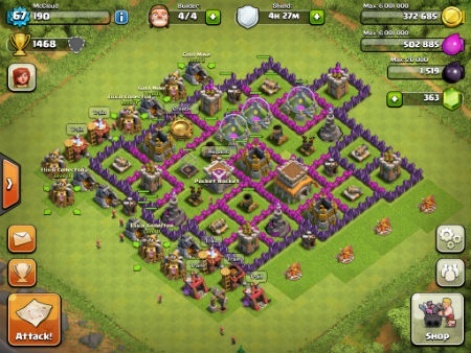 Back in September 2013, after a year of playing Clash of Clans, Jon Jordan decided to move on. So with Supercell's fourth game Clash Royale now out, we thought it would be a good opportunity to revist the article as part of Flashback Friday. As with everything in life, there are beginnings and there are endings. Some can be excited and unexpected, while others are best when planned and measured. That's what I'm thinking a year on from when I first started playing Supercell's Clash of Clans. At the time, I didn't know much about the game, and certainly during the Canada-only beta in August 2012, no one expected it to have the commercial and cultural impact it's since generated as one of the most played and profitable games in history. Equally, on a personal level, I've never spent so long playing a game, or indeed, spent so much money in a game. So let's get the money bit out of the way. As with many players, my first purchase in Clash of Clans was the 3,000 gems required to buy an additional builder: a hard gate designed into the game during the early stages (around one month in for me) when you have a relative large amount of resources but are restricted by your lack of builders in terms of how quickly you can spend them. In total, though, I've spent over $70, buying currency to speed up buildings and buy defences that provided significant new features. Yet, as must be the case with such resource-based games, theres only ever a brief plateau of satisfaction before another new unit or building update makes itself known to our envious brain. This is most clearly seen in the update cycle surrounding your town hall, which is the core building that controls the levelling up process for your key resources - notably gold and elixir mining. It's the most expensive building to level up, but once you've completed this, all that's happened is you've opened another layer of increasingly expensive upgrades, which quickly overwhelm the higher capacity resource production you've also unlocked. Of course, the city-building aspect of Clash of Clans is not the game itself. It's merely the foundation on which you build your armies, either to play the single-player (effectively the practice) mode, or attack other players for resources and ranking; an element most fully experienced in the game's Clans mode. To be honest, though, this was something I never found very exciting; preferring instead to act as a supplier of troops for the other players in my clan. Not that I got much praise for it. The most 'exciting' thing that happened in terms of my clan-play in Clash of Clans was when some (no doubt) snotty-nosed imp kicked me out of the clan for not playing enough. The very cheek of it! So, even though I joined another clan, from that point on, my enthusiasm for the game was waning. After a year of fairly regular play (at least once every couple of days), I was at the stage when any upgrade took days to complete. Also, it was now almost impossible to organically collect enough resources to upgrade a building as, in the meantime, someone would attack my base and steal most of them; hence the only upgrade option available being to buy gems. So, being of the analytic persuasion, I worked out how much it would 'cost' to upgrade everything in my base to its next level. In in-game currency terms, the answers was 103.7 million gold, 45.65 million elixir and 10,000 dark elixir. In hard currency terms that's 49,225 gems, which converts to $351.57; despite my relatively advanced in-game level, for me that was a surprisingly large number. Yet, time and money has not been wasted. Any journalist worth their salt should not be expensing back their in-app purchases. As a journalist, it's become clear to me that in order to have an informed opinion on free-to-play games, you have to spend time and money actually playing them. 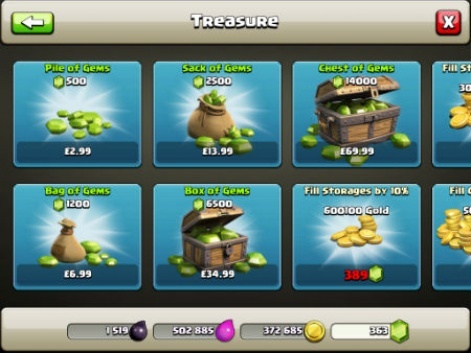 Indeed, one of my most important conclusions from p(l)aying Clash of Clans is that any journalist worth their salt should not be expensing back their in-app purchases (or receiving free currency from the developer) as it totally destroys your perception of the value of virtual goods - the key aspect of the F2P business model. It's also important to play some of these games for long periods of time to see how your motivations to play and pay rise and fall over the months. And, of course, to experience how developers update their games with new content and time-dependent offers to keep their long term audience interested. So, in that context, will I be deleting Clash of Clans from my iPad? Not quite. It's going into a new folder called 'Games I Used to Play'. I might dip back into it every so often, but my attention is demanded elsewhere. The folder marked 'To Play' is now filled to bursting. plus 6 Elixir Collectors, 6 Elixir Storage units, 6 Gold Mines: and 3 Gold Storage units which currently don't require upgrading. Hey guys. I've been playing clash of clans for 18 - 19 months now. I am the leader of a provincial clan in New Zealand. For us because we know most of our members ( nearly all local to our town ) we find it quite an effective social network. Alas.. in those 18 months I have spent about 70 - 80 $. Which works out to be about 1 dollar a week. Nearly all or that expenditure was within the first 6 months. 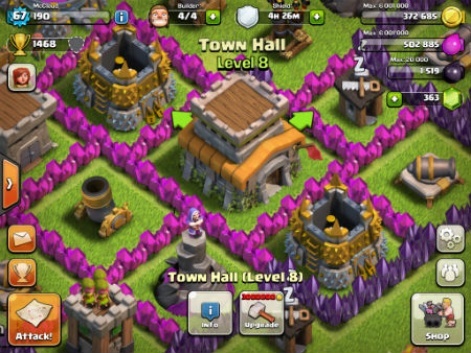 Now I am nearly a max town hall 9. With level 30 heroes on the go and currently 215 walls completed to level 10 ( they were 3 million to upgrade each ! ) yes. As you can imagine I spend a lot of time playing this game. But that's hardly an expense when I used to buy an Xbox game for 80- 120 dollars and discard it after 4 months or so right?? Yesterday I got the word that on my own I have managed to save up enough money to purchase my own home. Clash of clans has if anything,, helped me save ( and guitaring ) by keeping me away from all the world's temptations. I recommend this game in a heartbeat to any players who feel they would like a challenge and like to work for what they've got. If that's them, those petty negatives around clash of clans fade away. I like the game. It is well made and is fun. But I don't like that it is free to play, I don't want to spend money to get fake items, especially ones that I need to have in order to even survive. Players raid my base and ruin everything, effectively wasting my money, yeah no thanks. This game is not for people who value their money, but for middle class morons who don't understand the value of a dollar. There are tons of strategy and base building games out there more fleshed out than this one, CoC is a complete ripoff. good writeup! I may add though, that the most precious resource that is spent by pursuing CoC is time. I know, many regard it as not that significant - afew minutes here, a few there - but things start to add up considerably. especially, if you include the time when the game distracts you from other aspects of your life - you often start thinking - hm - time to do some more upgrades here, produce that resource now, check whether a builder is about to finish his job, getting up at night to start another building/upgrade etc. I have only started the game but already I may stop it early in its tracks as I clearly see the threat of lots of precious time being consumed by the game. It's funny, no doubt. But is it really worth that much of effort and time? Hahaha, I know the feeling. Great write-up. I did the same thing, $110. I started a new game to blog about it, wasn't going to spend anything, and just spent $30 to pick up the builders. Not spending anything else though and I'm just blogging about my adventures. Congrats on stopping, afraid I've still got the fever! Very cool write up Jon. I've stayed away from CoC because I'm aware of my addictive personality. Superb analysis Jon - it would be interesting to know whether, based on the ARPPU model of CoC, your $70+ spend ranks you as a significant spender. Many of the F2P games I have looked at or work with assume a much lower ARPPU, so certainly CoC seems to get a lot more money out of gamers. Personally, I have not played it as I have been wary of the amount of people telling me its F2P mechanics are very aggressive - and effective.